Tamil Nadu government has decided to split the computer science subject that is taught in higher secondary schools in the state into three types. Computer technology is being introduced as a new subject for students of vocational stream. This change will be applicable to Class 11 classes in the current academic year, and for Class 12, in the next academic year (2019-20). The school education department has issued the order for this change. Computer science will remain as the major subject for the physics, chemistry and mathematics students. Computer applications subject has been introduced in place of computer science for the students of commerce, accountancy, and economics, and also for history, geography and economics. In the vocational stream, the same computer application has been introduced for the accountancy and auditing course too. In vocational programme, the name of the general machinist course is being changed as basic mechanical engineering. Along with mathematics and basic mechanical engineering, theory and practical, computer technology will also be taught for those students. Electrical machines and appliances course will be changed as the basic electrical engineering course. In that, along with subjects like mathematics and basic electrical engineering theory and practical, computer technology subject will also be there. Electronic equipment course is being renamed as basic electronics engineering course. This course will have mathematics, basic electronics engineering theory and practical, and computer technology subjects. Draftsmen (Civil) course is being changed as the basic civil engineering course. This will have mathematics, basic civil engineering theory and practical and computer technology as subjects. Auto Mechanic course is getting changed as basic automobile engineering. Mathematics, basic automobile engineering theory and practical, and computer technology will be the subjects in this. Textile technology students will have computer technology subject also, along with mathematics and textile technology theory and practical. In the nursing course, computer technology will also be there along with biology and nursing theory and practical subjects. Textile and designing course will be changed as textiles and dress designing. Apart from home science and textile and designing theory and practical subjects, this course will also have computer technology. The course food management and child care will be changed to food management and this will have the computer technology subject along with home science and food service management theory and practical. Agricultural practices course has been changed to agricultural science. This also will have computer technology along with the subjects of biology and agricultural science theory and practical. Office secretary-ship course will be changed as office management and secretary-ship. There will be the subjects commerce, accountancy, office management and secretary-ship theory, typography and computer application practical in this. In the accountancy and auditing course, along with commerce, accountancy and auditing practical, there will be the computer application subject too. 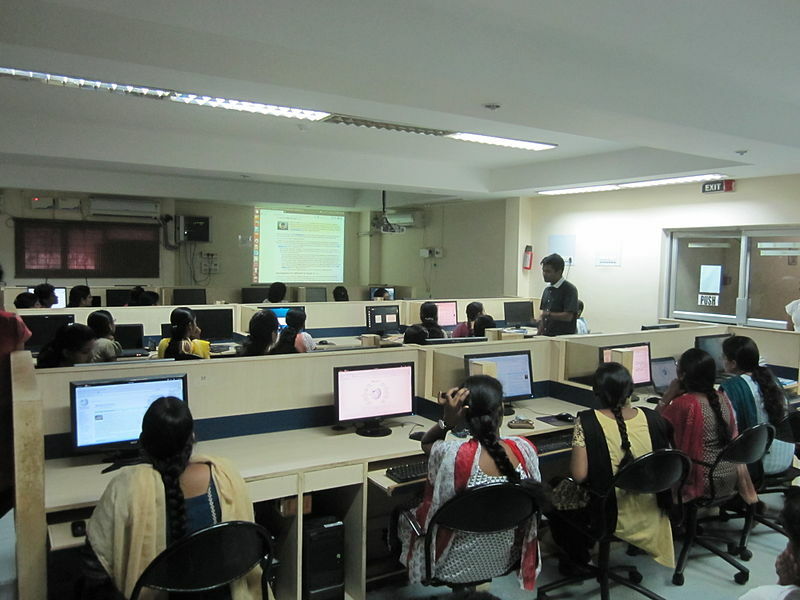 In the higher secondary schools, computer science subject is there at present for the science and arts students. The arts students are finding some sections of this subject, difficult and advanced and hence, these changes are being made. Also, sections like tally etc. in the commerce subject will remain suitable for immediate employment of the vocational course students and the new changes have been brought about taking this into consideration, the govt. order on this has claimed. Name Change: The name of the present business mathematics subject has been changed to business mathematics and statistics. The subjects of ethics in Class 11 class and Indian culture in Class 12 been combined and renamed as ethics and Indian culture. The subject currently known as general nursing (first paper and second paper) has been changed to a single unit – nursing general. This topic contains 0 replies, has 1 voice, and was last updated by Pon Dhanasekaran 8 months, 3 weeks ago.